Canine renal failure is “invariably irreversible and progressive,” according to the Merck Veterinary Manual. 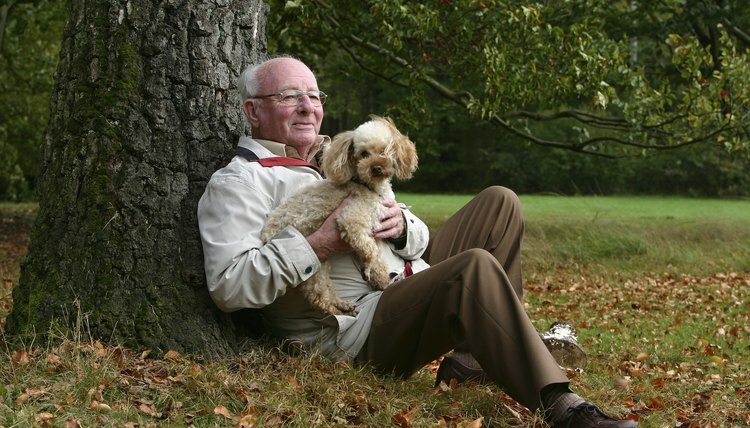 Veterinary and at-home treatment is considered to be palliative--designed to alleviate the symptoms of the illness and provide comfort for the lifetime of the animal. The prognosis for renal failure patients is poor, but individualized veterinary and at-home treatment will allow many dogs to live out their days in relative comfort. Dogs are normally asymptomatic until the disease is fairly far advanced, according to Dr. Alleice Summers in her book “Common Diseases of Companion Animals.” Canine renal failure is not usually discovered in its early stages because clinical signs, including elevated creatinine and urea nitrogen levels, are not detected in blood tests until approximately 75 percent of kidney function has been compromised. By the time of diagnosis, most animals show symptoms of increased urination and loss of urine concentration (meaning the kidneys are no longer removing the normal amount of toxins from the body). The increase in urination causes dehydration and metabolic imbalances resulting in gastrointestinal distress, vomiting and diarrhea in the patient. Veterinary treatment to alleviate the dog’s unease during this time may include administration of intravenous fluids, anti-emetic and anti-diarrhea medications. Dog owners will commonly start their animals on a low-protein, low-sodium diet to increase kidney function while at home. Veterinary personnel recommend teaching owners how to administer subcutaneous fluids to their pets in order to continue necessary hydration during the time the patient is not in hospital. 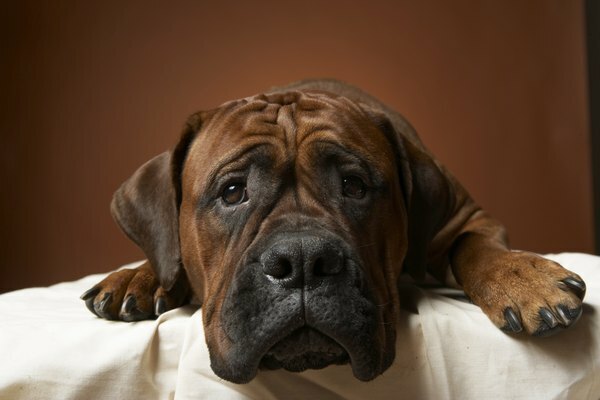 The progression of renal failure causes most dogs to become hypertensive and anemic, and they will need to be treated with medications to alleviate the lethargy and weakness associated with these symptoms. As the kidneys continue to slow down, the calcium and potassium levels needed in the dog’s body to continue proper cardiac function become unbalanced and the patient will need oral potassium supplements and heart medications to maintain normal heart function. When the kidneys begin to completely fail, body fluids that are usually eliminated through the urinary system will accumulate in the tissues of the dog’s body causing edema. The animal may also experience fluid build-up in the abdominal cavity and the lungs, forcing the patient to begin coughing. 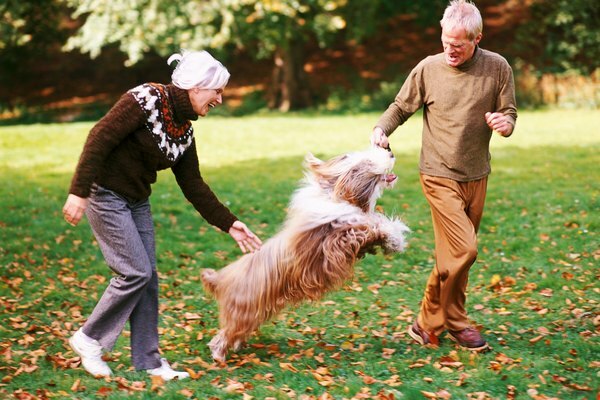 Veterinarians commonly recommend diuretics to lessen some of these symptoms, but the edema can never be completely eliminated. Complete renal failure can occur at any point after diagnosis and will normally involve the other organs of the dog’s body. Because toxins are no longer being eliminated, the heart and lungs will fill with fluids, the liver and digestive system will become toxic and the dog’s body will begin to shut down. Dog owners will need to make a decision at some point as to when, and whether, to euthanize their pet. Utilizing the knowledge and expertise of their veterinarian will help owners alleviate any doubts or guilt they might have over making this difficult decision. Common Disease of Companion Animals, Alleice Summers, DVM, 2002, Mosby, Inc.
Clinical Textbook for Veterinary Technicians, Dennis McCurnin, Joanna Bassert, 2002, W. B. Saunders, Co.
What Are the Signs of Kidney Failure in Senior Dogs?